Claudia, a host mom from Texas, has a four-year-old son, Kai, who has tuberous sclerosis. 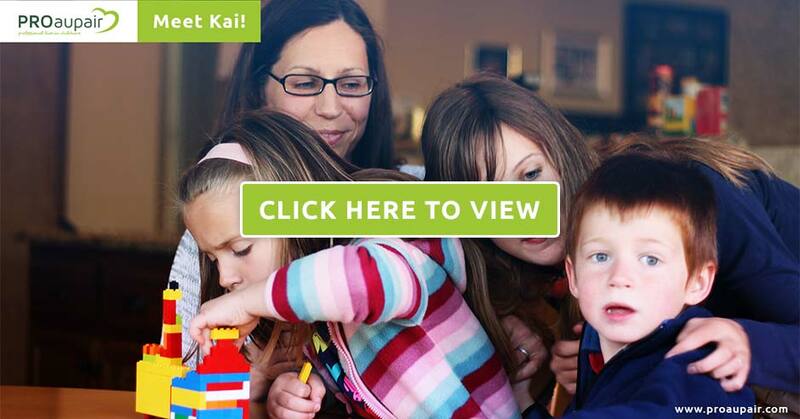 In addition to developmental delays, Kai occasionally has seizures, so the family wanted to find a caregiver who could help Kai with his condition. After Kai’s diagnosis, his family switched from a traditional au pair to a professional au pair. Their professional au pair, Lydia, has experience working with children with special needs and recently finished her training as an occupational therapist.